We are developing a planner to relocate obstacles for grasping a target in clutter by a robotic manipulator without collisions. 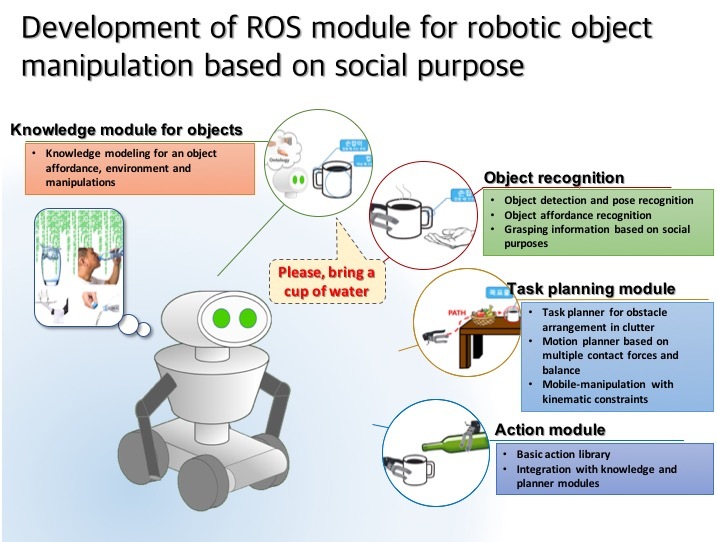 We are also focusing on object recognition and grasp synthesis technologies for robot manipulation based on object affordance. This page was last modified on 18 December 2018, at 17:55.